Quitting to smoke is very difficult. Many people say that cigarettes are their medicines. Smoking is literally addictive. Once you tried it, you’ll be caught smoking the second time, third time and so on until you become a heavy-smoker. There are times that cigarettes can help people cope up with stress, anxiety, fear and more. However, it’s all for the meantime. Cigarettes have nicotine. This element is responsible for making smokers addicted. Nicotine gives the feeling of satisfaction that is why smoking is very hard to stop. Be responsible – Most of the time, people who say to themselves that they want to quit are people who are easily tempted. Eliminate gradually – Never quit smoking abruptly because most of the time, this will only lead to going back to the same habit – smoking again. 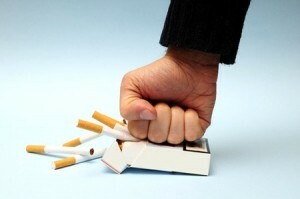 Get into action – Once you are really committed to quit smoking, you don’t have to say that you are quitting, DO IT! Getting into action means performing what you said or promised. Ignore one puff – This is just a simple rule to follow, smoking cannot be easily stopped when there are people or events that will make you smoke again. Never give up easily – This is a very important rule to help you quit. Although this sounds cliché, the thing here is that you learn how to absorb what you have experienced. Yes! Smoking is very difficult to stop especially when your addicted to it. But if you will give your best shot, then that would be the time that you will know that you have surpassed the challenge.